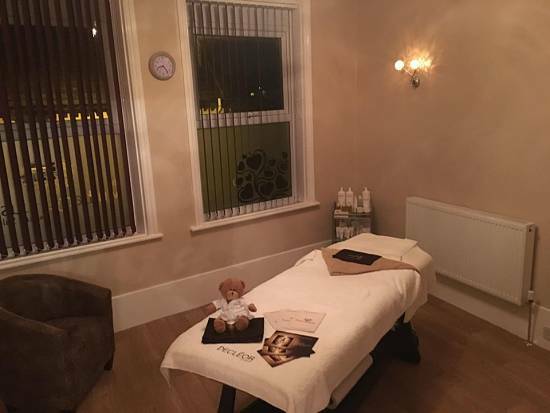 The Mulberry House Beauty Salon – specialists in anti ageing facials Wakefield. Our anti ageing facial treatments are just one of our fantastic beauty treatments from The Mulberry House Beauty Salon Price List. Choose from our fantastic range of Decleor Advanced Anti Ageing Facials below. Once you know what you would like or if you have any questions, fill out the contact form to get in touch or give us a call on 01924 724004. One of our friendly beauty therapists will be happy to help. Three technologically advanced anti ageing facials to fight every concern, each with precise and blissful rituals. Based on 40 years of skincare expertise and utilising the latest technological breakthroughs in anti ageing face care, they bring a new lease of life to maturing complexions, offering dramatic improvement in skin tone and clarity. Duration 1hr 15 mins – £53.00. Youth-boosting anti-wrinkle treatment. For immediately visible results, powerful ingredients and gentle exfoliation target lines and wrinkles. A mineral mask also lifts, plumps and firms for a luminous, younger-looking complexion. Ultimately effective anti-ageing facial leaving the skin plumper and firmer. Energising but luxurious, specialised massage helps recharge skin tissues while an indulgent, collagen-rich mask infuses the complexion with skin-plumping nutrients. The skin’s natural renewal process is kick-started for firmer, radiant skin. This facial is like a pilates session for the skin, it is specifically targeted for resculpting, regenerating and lifting. It is perfect for 50 plus skin. Duration 30 mins – £25.00. Anti ageing and visibly plumping for a smoother eye zone. Put the sparkle back! Featuring restoring and intensively hydrating eye masks, this targeted treatment fights fatigue, quenches moisture loss and helps erase the appearance of wrinkles for a sparkling, rested eye zone. Looking for other Decleor Facials?